With just some minor tweaks and refinements, Elephant Stone could very well just be a band that is going to go places far and wide. 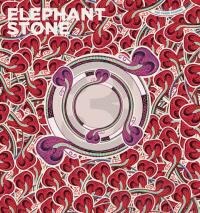 If you think Montreal’s Elephant Stone, seemingly named after a song by the Stone Roses, sounds familiar, that’s because they do. Fronted by Rishi Dhir, who used to be in the High Dials, Elephant Stone incorporates into their music not only sounds from India, such as the sitar, but a hint of ‘60s psychedelia as well. In fact, the overall sonics of this band are not too far removed from the far more famous Tame Impala. Basically, if you’re sick of Innerspeaker and Lonerism, then the newest Elephant Stone album may just be for you. Three Poisons, a reference to a Buddhist handbook, boasts an incredible array of ear-pleasing songs, from the first single “Knock You From Yr Mountain”, which may just get my vote for Canadian song of the year with its catchy jangle and soulful background female vocals, to “Worlds Don’t Begin and End With You”, which comes across as vaguely Teenage Fanclub-esque. Another noteworthy song is “Wayward Son”, kind of a modern updating of the Byrds' jangle rock. There is the odd misfire here and there. The first track “Motherless Child (Love’s Not for War)” is rather sluggish, despite an energetic and frantic midsection. The final two tracks, “Echo and the Machine” and “Between the Lines” need repeated listening for their melodies to become apparent. And “All Is Burning” is rather dull. The guitar line feels like it got nicked from somewhere else – a Kinks song perhaps? Still, Three Poisons successfully merges the sitar-heavy sounds of George Harrison with the trippy-dippiness of John Lennon. There’s deftness to the songwriting, and the album boasts a rather strong midsection. While some might write off Elephant Stone as being little more than a Canuck rethread of Tame Impala, the group’s retro-tinged sound is appealing in large doses, and there’s a certain pop-smithery going on here. Three Poisons is a crowd pleaser, and with just some minor tweaks and refinements, Elephant Stone could very well just be a band that is going to go places far and wide.